Have had surgeries on knees , neck , back , and elbow ! This tape is no gimmick. It really helps fight soreness, and for those like me , it may help reduce your pain. While I can't say it will for you. I have had my R knee replaced, and I will not bowl unless I use this tape to support my knees, and other troubled areas. I noticed a big difference using before, and keeping it on after bowling. I have kept in on from 3-7 days , and with no itching, rashes , or odor. If placed properly, it hasn't peeled off during showers. I know results differ from person to person, but I honestly won't bowl without it. It helps that much. Heck, I'd be a spokesman for the stuff if I could. Note that they include instructions on best ways to use on knees , shoulders , wrists , and more. It stretches, so I've found if you cut it a bit shorter than you measure out , you can pull it thigher if you like, and I feel in doing so , it gives even better support. 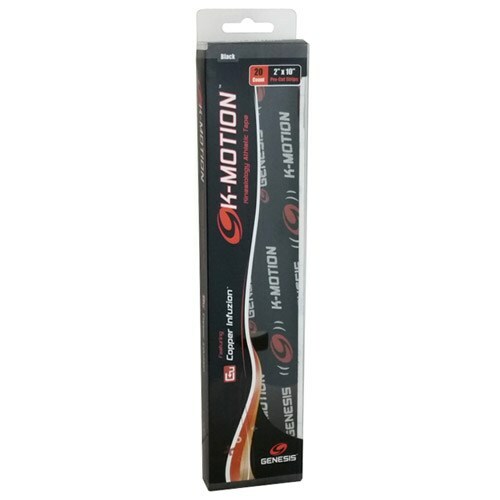 Due to the time it takes to produce the Genesis K-Motion Tape Pre-cut Black ball it will ship in immediately. We cannot ship this ball outside the United States.